Nestled into the Northwest side of Denver, on the west side of Interstate 25 and just south of Interstate 70, you find yourself in a quaint up-and-coming neighborhood known as Berkeley. This neighborhood constantly gets grouped together with Highlands and Tennyson, two other growing and developing neighborhoods, and is proud to be part of that grouping. This neighborhood is known for its lakes and parks, Rocky Mountain Lake Park and Berkeley Park, which offer residents great places to walk, swim, and spend a leisurely afternoon. With a great influence from the Tennyson neighborhood, Berkeley has continued to see expansion in both the residential and commercial areas. With new restaurants, boutiques, and exercise studios finding their way into this neighborhood, it's quickly become an attraction for younger residents while still being a place retirees and families like to call home. With an extensive mix of homes from quaint brick bungalows to newly developed townhomes and simple cozy cottages, this neighborhood is full of trendy and artistic character. Parisi – 4401 Tennyson St – Think fast-casual concept with some amazing food! You order at the counter and the food is brought to your table, but while you wait there is also a full-service bar. And yes you guessed it, Italian to boot. El Chingon – 4362 Tennyson St – Moving from Arvada, this Mexican gem offers up some amazingly tasty dishes. The recipes are made with love by chef de cuisine Gloria Nuñez and her grandson, executive chef David Lopez. Block & Larder – 4000 Tennyson St – In-house butchery drives this incredible menu, especially the evening board’s chops, grinds and braises selections. If you like good meat, this is the place for you. Hops & Pie – 3920 Tennyson St – Everyone loves a good pizza and at Hops & Pie you can customize your pizza and wash it down with the ever-changing beer list. Don’t forget about their “super treats” to finish the meal off. Berkeley Untapped – 4267 Tennyson St – If you are feeling like a cold beer, a glass of whiskey on the rocks, or a nice glass of wine to unwind, then Berkeley Untapped is the place for you. If their high quality alcohol selection isn’t enough reason to go there, they also donate $.25 to a charity of your selection for every drink you buy. Berkeley is just a hop, skip, and jump away from downtown and it's a neighborhood worth checking out. As the neighborhood and surrounding areas continue to grow and develop, Berkeley will continue to be a great place to own your home. 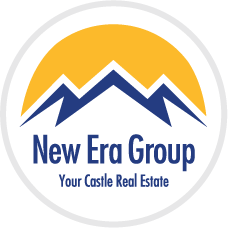 If this sounds like a neighborhood you could see yourself in, give New Era Group a call today and have one of our highly trained agents show you some Berkeley houses that could be your future home.